Baking soda and coconut oil are two great products known for their effectiveness and versatility. Both are widely used in different areas such as culinary, household, cosmetics, and alternative medicine. Baking soda is a common cooking ingredient. It is also used in the household as an effective cleaner, deodorizer, and polishing agent. In terms of cosmetics, baking soda is used in cleansing the hair, whitening the teeth, and exfoliating the skin. It is also a good acne treatment. On the other hand, coconut oil has potent medicinal and antibacterial properties. It also effectively nourishes, moisturizes, and conditions the skin. 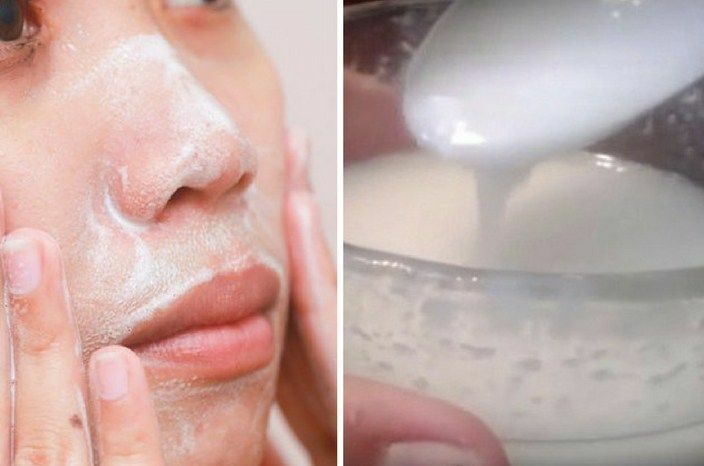 This natural beauty recipe made from these two products will deeply cleanse and tighten the pores, as well as nourish and moisturize the skin, thus, making it smoother and healthier. In a small bowl, mix all the ingredients thoroughly in order to create a paste. Apply the paste to your face and gently massage in circular motion. Leave it for 5 minutes. Rinse with warm water. Massage your face during rinsing. The coconut oil will deeply hydrate the skin, so there's no need to apply moisturizer.